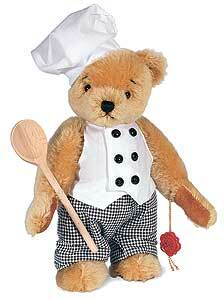 Chef Teddy Bear by Hermann Teddy Original. Handmade of the finest mohair with wood wool filling. Fully jointed. Surface washable only, Size 27cm tall.